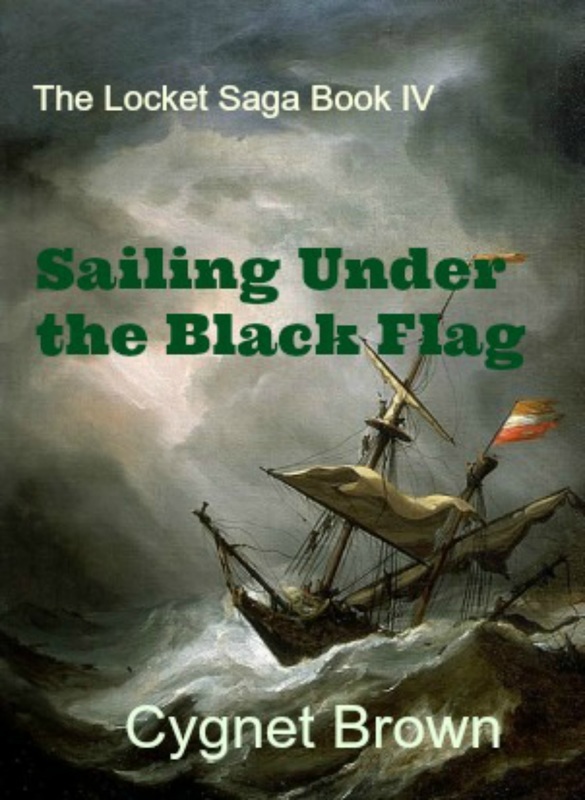 Cygnet Brown's fourth book in the Locket Saga Book IV, Sailing Under the Black Flag is the story of Jonathan Mayford's coming of age. Jonathan wants to join the Patriot Cause because he wants to prove that he’s a man. Much to his parents’ misgivings, they allow him to join his father’s privateer, the American Elizabeth. The relationship that takes Jonathan from boyhood to manhood, however, began when he met the red-headed Lowri Howell, a daughter of Welsh nobleman. Jonathan dreamed of the day that he would become worthy of her affections. He hoped that in winning this war, he might have a chance at capturing, what he considered, the greatest prize of all. Both Jonathan and James discover fighting in the war is not what proves manhood. They learn that, becoming a real man requires integrity and character. Want a Free Copy? Agree to review Sailing Under the Black Flag and I will give you a free PDF copy. For more information, contact me at cygnetbrown@gmail.com. Join Cygnet's Newsletter and receive a free digital copy of Using Diatomaceous Earth around the House and Yard in kindle, nook or pdf formats. Sign up Today!